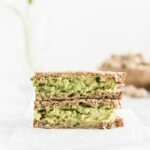 Celebrate Earth Day with an eco-friendly spring picnic full of delicious, sustainable recipes that are good for you and the Earth, including a delicious smashed chickpea and avocado salad sandwich! This post is sponsored by Tom Thumb. As always, all thoughts and opinions are my own. Thank you for supporting the brands that keep Lively Table running! Earth Day and spring always serve as reminders of how amazing nature is, with the new growth of greenery and blossoming of trees. It’s also a good reminder of how precious our planet is, so we should be trying our best to take care of it. What better way to celebrate the Earth and springtime than with an eco-friendly Earth Day picnic?! Tom Thumb sent me a fun box of Open Nature® eco-friendly products for Earth Day, and they’re just perfect for a picnic that’s better for the Earth! The compostable* plates, cups, straws, cutlery and bags are BPI certified, tree-free, and plant based, so they’re better for the environment. As are the 100% bamboo “paper” towels. Bamboo is renewable and grows and matures 3 times faster than paper items! These items are exclusively available at Tom Thumb and are a great value compared to other national brands. For this Earth Day picnic, I also wanted to include sustainable food that’s a little better for the environment. 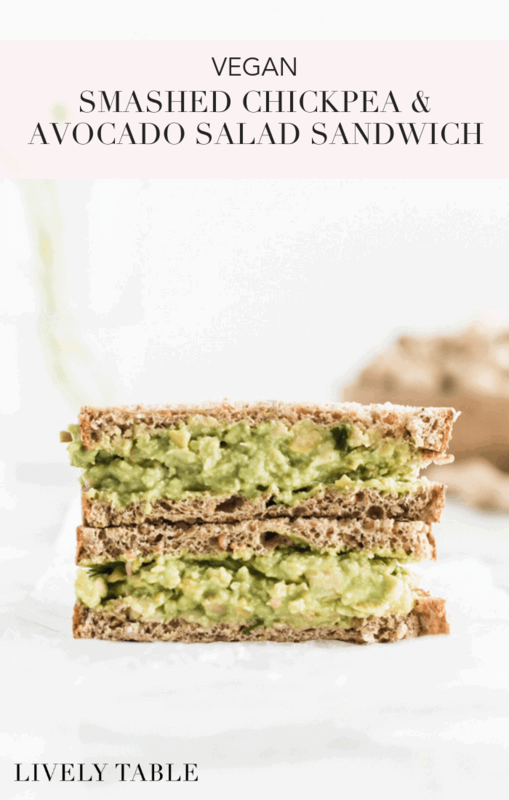 One way to reduce environmental impact is to include more plant-based foods in your diet, so I made plant-based smashed chickpea and avocado salad sandwiches as the main entrée. The fiber and healthy fat in the chickpea and avocado salad make it both filling and satisfying, while lemon, dill, and green onion provide great flavor! It’s a little bit reminiscent of tuna salad, but plant-based is also super simple to make! With our plant-based menu staples and our environmentally friendly Open Nature® plates, bowls, and cutlery, we are almost ready to head out on our picnic. Local produce – the closer food is grown, the fewer resources it takes to get to you. Seasonal produce – just like local produce, seasonal produce tends to be grown closer, so it takes fewer resources. It also tends to be fresher and tastier! Peanuts – they require the least amount of water of all the nuts and are nitrogen-fixing plants. Potatoes – they don’t require much water or fertilizer, and they have a high yield. Keep the skins on for no waste and more fiber! Beans – they’re a great vegetarian protein source, don’t require a lot of water to grow, and have a long shelf life, which means less waste. Almost all of the dishes can be made ahead of time so when you’re ready to picnic, all you have to do is pack up your basket with a blanket, some Open Nature® compostable supplies, and find the nearest patch of grass! In a large bowl, mash chickpeas and avocado together with a potato masher or fork. I like to leave it a little bit chunky, but you can make it as smooth as you like. Add lemon juice, green onion, dill. Season with salt and pepper to taste. Stir to combine. When you’re ready to make the sandwiches, scoop the avocado mixture onto each of 6 slices of bread. Top with remaining slices. Smashed chickpea avocado salad can be made up to a day in advance. Squeeze fresh lemon over the top before covering and storing to prevent avocado from browning. This looks like a beautiful spread!